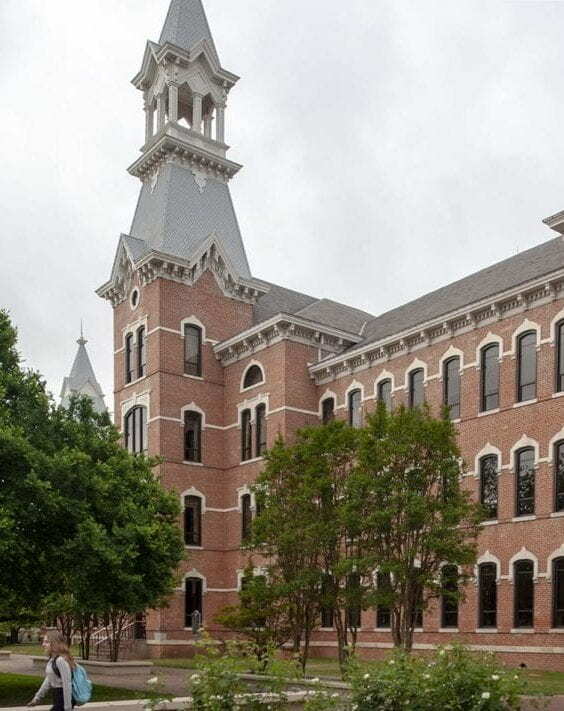 Baylor University’s Main building (1887) and Burleson Hall (1888) were the first two structures built when the institution moved from Independence, TX. 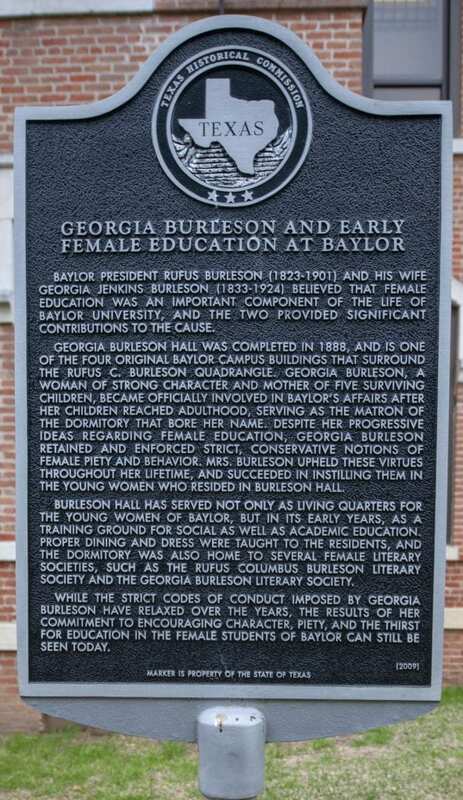 Along with Carroll Library (home of The Texas Collection) and Carroll Science Building, both completed in the early 1900’s, these four structures form the Rufus Burleson Quadrangle. This was what comprised the university at one time. Then the institution grew across Fifth Street and behind these structures and well beyond including across the Brazos River. The photographs shown here show some of the changes over time that these buildings have withstood. 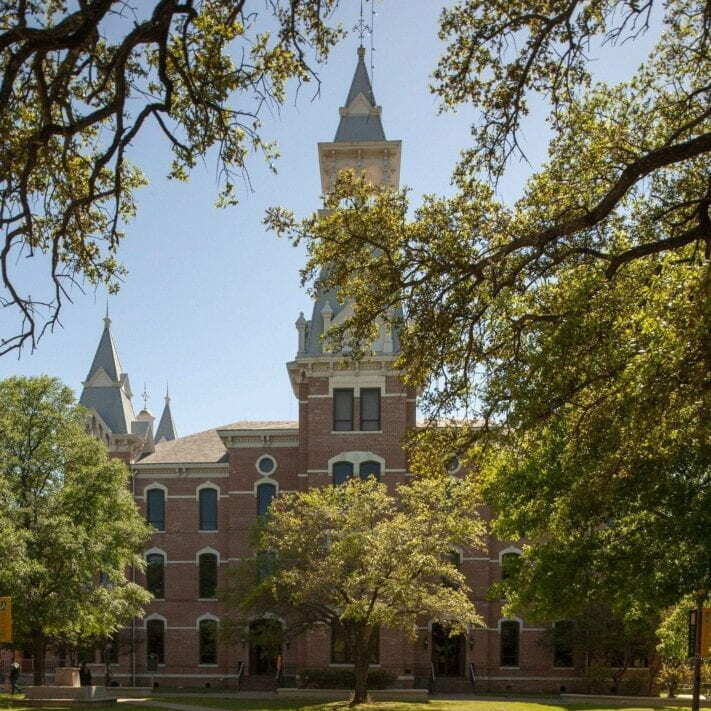 Although modified and updated, they still stand proudly to this day and are the centerpieces of Baylor University. 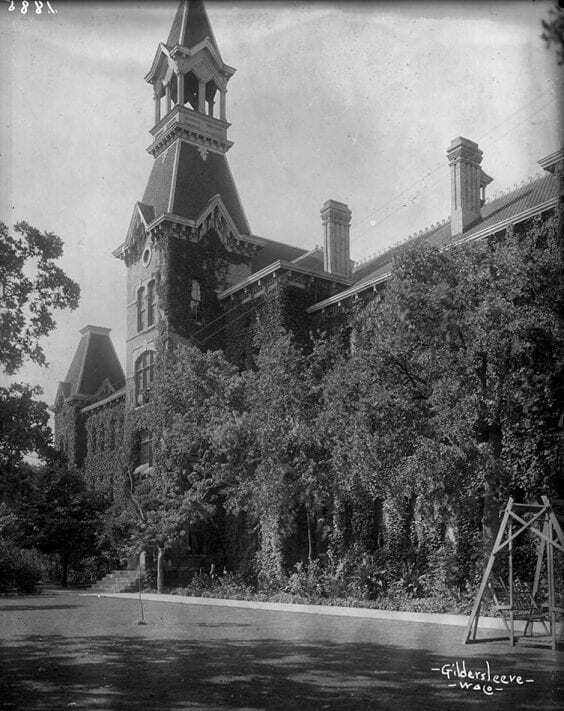 Baylor’s “Old Main” as it appeared in the 1920s. Fred Gildersleeve Photo from Gildersleeve-Conger Collection, The Texas Collection. Recent 2019 photo by G.H. for The Texas Collection. 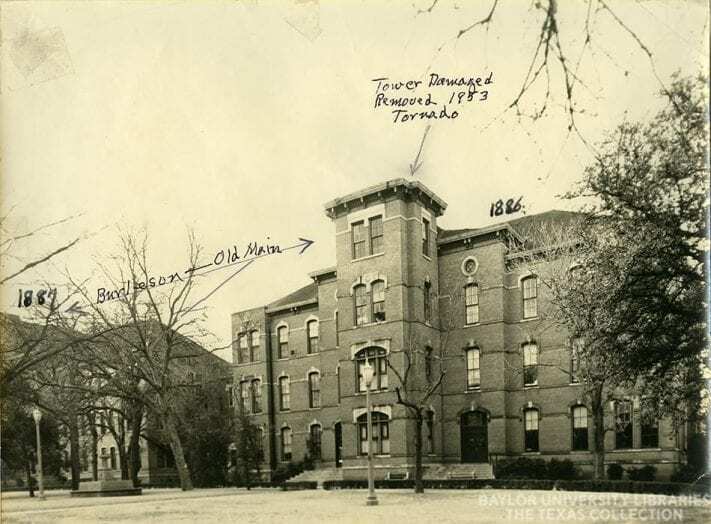 Baylor’s Georgia Burleson Hall as it appeared in the 1920s. Fred Gildersleeve Photo from Gildersleeve-Conger Collection, The Texas Collection. Recent 2019 photo by G.H. for The Texas Collection. 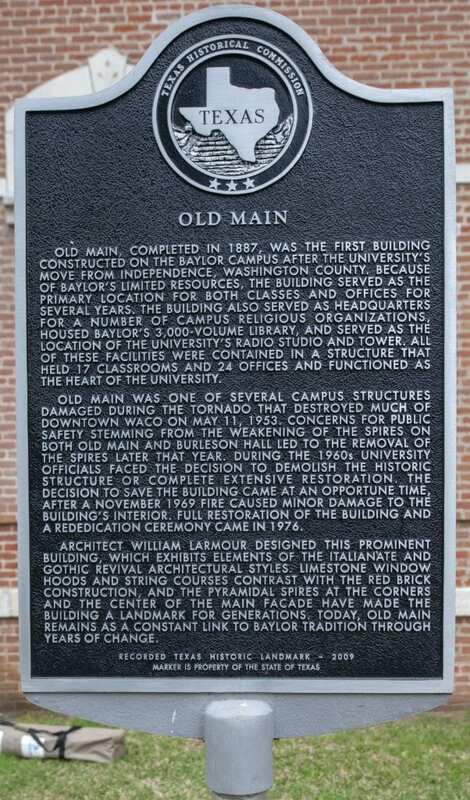 Did you know that the towers on Burleson Hall and Old Main were removed after the 1953 Waco tornado? They remained that way into the 1970s when similar reproductions were installed. The structures appeared very different without their beloved towers. 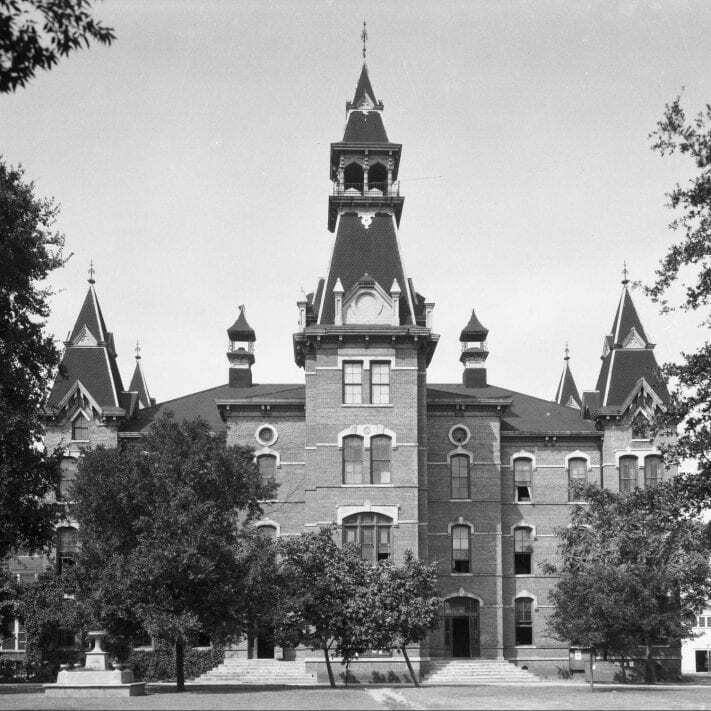 The Baylor University campus from Fifth Street as it appeared in circa 1910. Left to right: Carroll Library, Burleson Hall, Burleson Annex, Old Main, and Carroll Science Building.